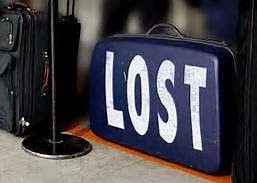 If you are one of the unlucky travelers who has ever had their luggage lost by an airline, then you will understand how horrible of an experience it can be. Upon returning from our vacation last week, we stood at the baggage claim belt with the rest of the passengers aboard our flight. It was just past 10pm and our flight had arrived later than scheduled. We were exhausted and ready to grab our bags and enjoy a quiet, comfortable, ride home in the car service we had arranged. My fiance and I joked about how our bags always seem to come out last. Well, the joke was on us when we noticed the bags had stopped coming down the belt and everyone from our flight had disappeared. With no other bags in sight we stood there for a couple minutes, hoping maybe they were going to send it down last, but after passengers from the next flight began congregating around the baggage claim, we realized our luck had run out. I made my way to the main office to file a lost baggage report and by now, it was 10:30pm and we were not only tired, but furious. The JetBlue representative we dealt with was more than helpful and after they gave us a voucher for our troubles, we headed home to wait for the bag to be found. The good news was, they did find our bag, and it was delivered to our door the next day. For some unlucky travelers, this is not the case. Many people come to find their bags are never found. So where do these bags go? For us, we found it was the mistake of the airport personnel in Aruba. Once it was located it was able to be fixed, but what happens to those who loose them for good? The department of transportation claims 10 thousand bags do not reach their destinations EACH DAY. From there they say 99% are returned to their owners within 5 days of them being lost. However, this leaves 1% lost for good. It may not sound like much, but it equals out to about 37 thousand bags per year! So where do these "lost for good" bags end up? The truth may sounds crazy, so bear with me. Generally, airlines have a policy that requires them to hold onto baggage for 90 days. In this time they claim they put a lot of effort into tracking down the owners of the missing bags. 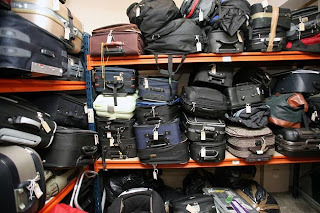 If they cannot find match the bags to any owners, then usually after 100 days, the airline SELLS the unclaimed bags to a store called the "Unclaimed Baggage Center" in Scottsboro, Alabama. 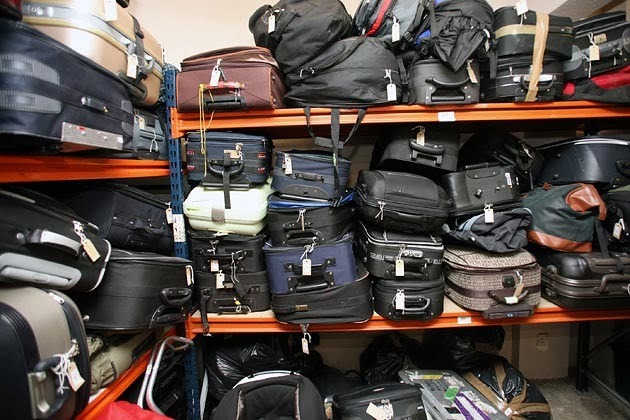 Each year, over one million items come into the store from lost luggage sold to the store by airline companies. However, if you are one of these unlucky travelers who's luggage has been missing for more than 100 days, and the airline has reimbursed you for your lost items, then you can still try to find your lost luggage at the Unclaimed Baggage Center. Just bring with you your airline reimbursement and visit Scottsboro, Alabama to see if you can find your missing items there. All luggage is sold to this location and then determined what is and isn't salvagable and sellable. 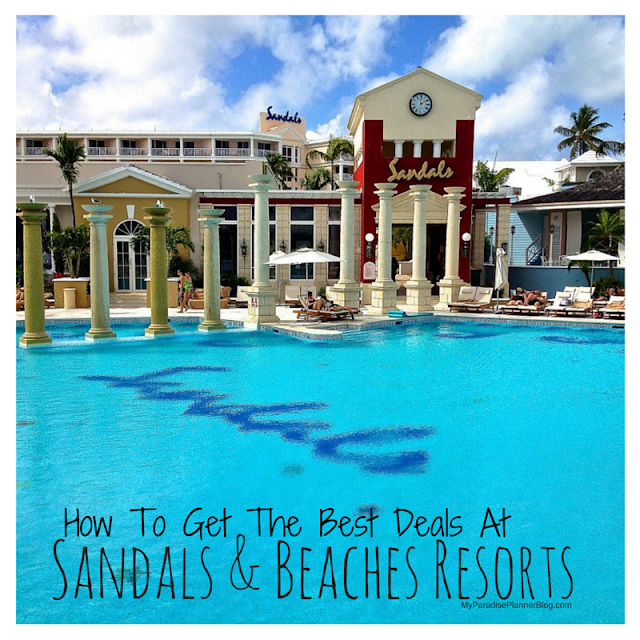 So if you have something of great value, you may want to try your luck here. A huge 40.95-carat natural emerald. Egyptian artifacts dating back to 1500 B.C., including a mummified falcon and a shrunken head. A complete and neatly packed parachute. A special camera designed for NASA’s Space shuttle. A guidance system for an F16 fighter jet valued at a quarter of a million dollars belonging to the US Navy. A rattlesnake, found alive by the staff. Just some good advice for those stuck in a bad situation. Maybe all hope isn't lost, and best of luck if yours is one of the 37,000 bags that end up here each year!